There was a time when going on holiday meant visiting the local travel agent and taking their advice. Now it's all done online, and everything is up for grabs to the highest bidder. Technology has changed travel beyond all expectations in the last decade, but it won't stop there. Travel tech has become a hot new industry, and there are plenty of startups with innovative new ideas on how to change the way we travel. Air traffic continues to grow at a rapid pace, with airports now turning to technology to cope with the rise in passenger numbers. Biometrics and face recognition have been used by airports for a while, notably at passport e-gates where a machine matches your face to the photo in your passport. However, the technology is getting so good that as well as extending to automatic check-in kiosks and self-service boarding, face recognition could soon be used to get rid of physical boarding passes – and even passports – by just using faces to identify passengers. However, the same technology is capable of searching for faces in a crowd; as well as identifying suspects around an airport, the airport’s security cameras could also locate passengers who are late to board their flight… they might want to try the airport Wetherspoons first. You pay £5.99 per month for access to TV movies, so why not do the same for travel? A new start-up called Be Right Back is a subscription-based business like Netflix that takes £50 off you every month and put it towards three European holidays per year. That includes both flights and accommodation (thanks to tieups with both easyJet and last-minute.com), but there is one catch. For the £600 you give BRB every 12 months, your three trips are to two mystery destinations. It is possible to specify places you don't want to go, however, and BRB promises to put you in a hotel with at least a three star rating. Another catch is that BRB trips all leave from London airports, and that airport transfers are not included. "We're over by the third tree on the left behind the hill." That's no way to talk to a pizza delivery man while you wait for your dinner at a campsite. Nor is it easy to meet anyone in a rural area away from roads, addresses and postcodes. Not having an address when in rural areas is starting to become a real pain for travellers. So what3words was born. A free app for iOS and Android smartphones, what3words divides the entire planet into 10ft x 10ft squares and assigns every square a unique three-word address. For example, https://w3w.co/lands.bands.bronze will take you to the centre circle at Wembley Stadium. 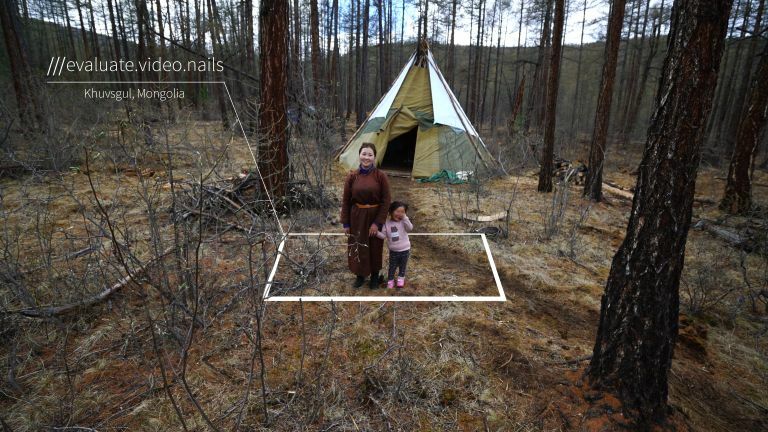 Able to share specific locations on the planet, and much more accurate than postcodes, it's already being used by nomadic reindeer herders in Mongolia to rent out their yurts on Airbnb. Most websites selling hotel rooms offer 'best price guaranteed', and many others give you the option to cancel a booked room up to a few days before you travel. Next time you do the latter, take a look at the price of that same hotel room you've already booked just before you travel. There's a good chance it will have gone down in price (often as much as 40%). No-one wants to hoodwink independent owners of small hotels, but if you're staying at a big corporate hotel, who cares? Self-styled 'Robin Hood of the hotel industry', Pruvo is a free, automatic web service that tracks price drops for your existing hotel reservations and notifies you if it detects a better price for the exact same hotel room. What if you could find bikes, buses, trains, taxis and car-share schemes all within one app? That's what's promised by Whim, a Finland-based app that's now being trialled in the West Midlands. Calling itself the ‘Spotify of the transport world’, Whim integrates journey planning, reservations, payments and subscriptions into one app. Whim already operates successfully in Helsinki, where it has 20,000 registered users. It's mostly an effort to get people to ditch their cars. Whim will be rolled out in 15 cities across the globe by the end of 2018. There are now ways to make money from your travel plans thanks to a new platform called IQplanner. It starts off with a traveller writing-up a trip when they return home, remembering to include mentions of the travel companies and modes of transport that you used. IQplanner has commercial relationships with all key travel sites across UK, so peppers your itinerary with links to third party websites. Those third party websites then pay IQplanner for traffic from people who read your trip report, and IQplanner in turn pays you a small fee. Even if you don’t contribute, if creating an itinerary for trips is becoming a major headache for you, IQplanner might be worth consulting. If you've ever travelled long-haul with a pet, you'll know the stress of worrying about how safe Rover is in the cargo hold. After all, there's no inflight entertainment down there in the dark. If only you could talk to your best friend instead of watching a heavily censored version of Marley & Me. Unisys just launched Digi-Pet, a service that allows owners to keep track of their pet’s well-being during flights. Sensors attached to the pet's carrier in the hold detect your pet's temperature, oxygen levels, vibration and light, and send the stats to the owner's phone. Automatically alerting you (and airline staff) if anything requires action, owners can even stream live video of their pets, complete with two-way audio. T3 recently flew to Hilton's headquarters in Washington DC to see the hotel giant's vision for the future of hotel rooms. A lot of what we saw centred around the "Connected Room", which is Hilton’s new platform for in-room technology. The system allows guests to set preferences and control lighting, climate and entertainment directly from the Hilton Honors app, while hotel Owners and Team Members gain operational efficiencies through the "Hilton Mission Control" platform. This not only allows hotels to be more energy efficient, but also gives hotel owners the ability to proactively identify and resolve guestroom issues. Connected Rooms are currently live in four hotels in the US, with hundred more planned for 2019. Hilton has said it expects these rooms to become a brand standard in the coming years, with even more personalisation planned, such as digital photo frames which display your family photos before you enter the room. Queueing up in an airport to check-in luggage you don't need is a ridiculous way to start a trip, and yet travelling light comes with its own challenges. Even if you manage to cut down on your packing, it's likely that you’ll struggle with cutting-down on underwear. After all, surely you need fresh socks for each day of your journey? Actually, you don't any more, thanks to advances in fabrics. Cue the MP Magic Socks, which are are infused with silver, copper and zinc, as well as a mineral substance, to create a completely antibacterial fabric. The upshot is they don't smell, at least not for about four days in our tests, which means you could take just two pairs on any trip. The maker has just launched a Kickstarter campaign.